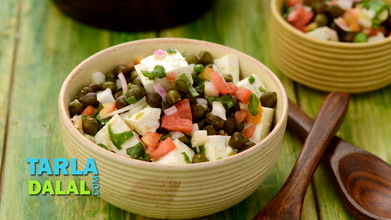 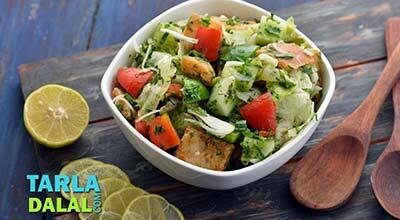 Here is a mouth-watering Lebanese Salad with the dominant flavour of parsley! 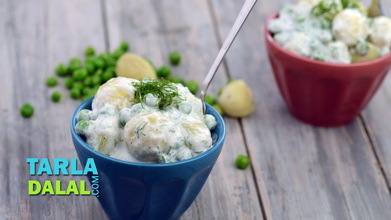 You will find this Potato Salad quite different from the traditional salads you might have tried so far, as it uses an off-beat combination of ingredients like cooked potatoes, chopped onions, garlic and herbs, perked up with lemon juice. 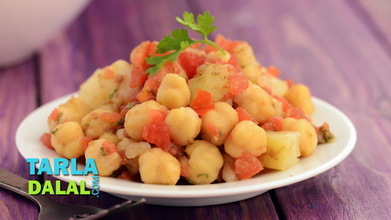 Be generous with the olive oil and lemon juice as these help bind the ingredients together and balance their flavours, bringing the pungency down to an enjoyable level. 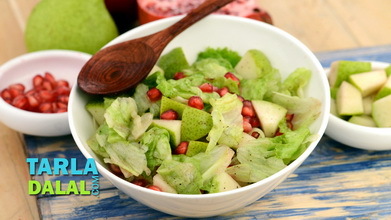 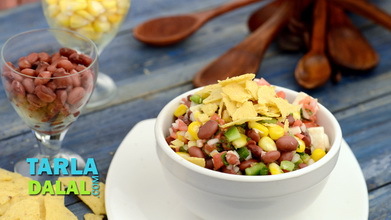 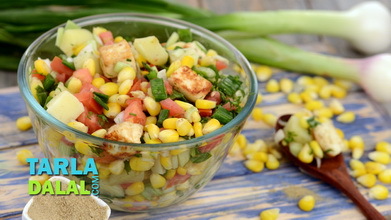 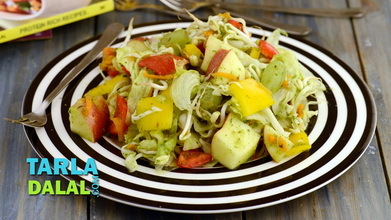 Relish this tasty salad chilled, as that accentuates the flavours and improves the crispness of the ingredients.